Our bell tents are perfect for mini celebrations. 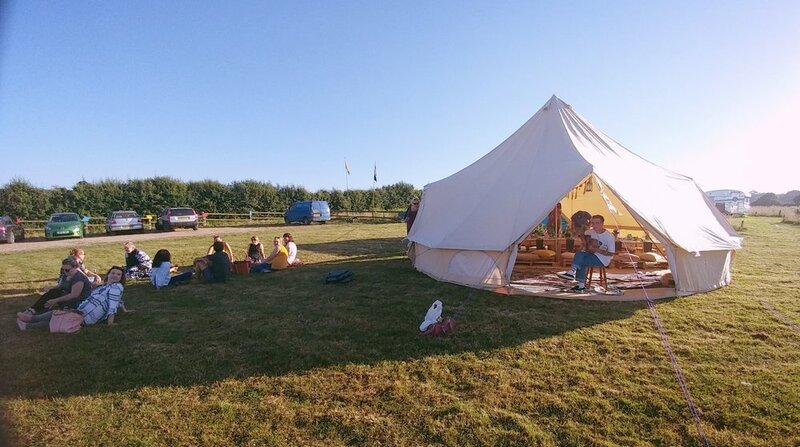 Pop it up as a chill out area at a wedding, a boutique camping experience for a 21st birthday or set it up as a dinner party for an anniversary, any event you have! We will come and set up the bell tent and take it down. We can deliver it to your chosen campsite, your wedding location or your back garden! With zipped in groundsheets they keep you and your possessions dry. The 5 metre bell tent can sleep up to 4 persons and the 7 metre bell tent can sleep up to 10 persons. 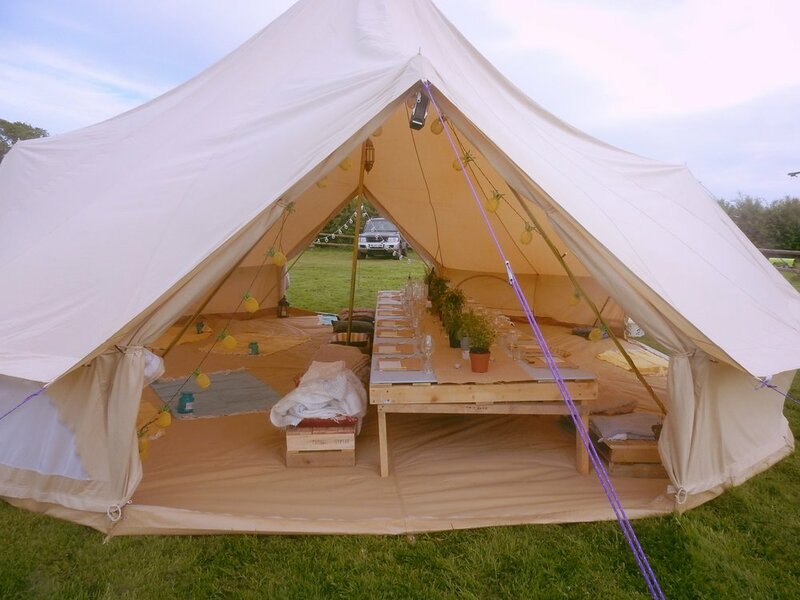 The full bell tent experience, just bring your own bedding!